I always thought that one of the important aspects of the National Curriculum was the introduction of citizenship education. When done well, it teaches young people to understand, challenge and engage with the main pillars of our democracy: politics, the economy and the law. It has also led to some quite brilliant and inspiring project work. Citizenship education is central to how young people can be given the confidence to engage and navigate the law and legal processes. However, the Department for Education is now conducting a review of the National Curriculum and has issued a consultation document for public comment. Of most interest are the proposals for citizenship education in key stages 3 and 4. The proposed new curriculum removes the explicit reference to ‘political, legal and human rights, and the responsibilities of citizens’, present in the current curriculum leaving only a vaguer reference to the ‘precious liberties of the citizens of the United Kingdom’. Other references to ‘influencing decisions affecting communities…’ and ‘strategies for dealing with disagreement and conflict’ have also been removed; although there is now an explicit reference to the ‘importance of personal budgeting, money management and a range of financial products and services’. The consultation closes on April 16 2013, so if you are moved to comment you’ll need to act fast. You can get further information from the Citizenship Foundation, who have provided a handy critique and guide to proposed changes. In addition, campaign group Democratic Life has an online response form that you can use. It is pre-filled with thoughts about the citizenship curriculum, which you can leave in or edit as you see fit. It is sent automatically to the Department for Education’s consultation team, and a copy is sent to you. The April Newsletter from Law for Life: the Foundation for Public Legal Education contains a link to a really excellent study on the development of Public Legal Education in Canada – a country far in advance of experience here. Written by Clare Shirtcliff, who works for Advicenow, an independent, not-for-profit website providing good quality information on rights and legal issues for the general public in England and Wales, it reports on a number of extremely interesting initiatives that have been taken in a number of Canadian provinces. 4 considering where the funds for PLE can come from. 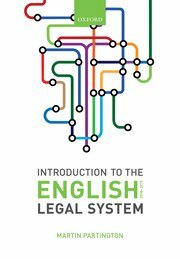 It is a really interesting and clearly written paper which should provide a lot of thought for those in the UK who accept the importance of PLE as a part of the English Legal System landscape. Just as legal aid lawyers might have thought that they had suffered their cuts, along comes another Consultation Paper setting out more ideas for reform – designed, of course, to further reduce public expenditure on legal aid. The Consultation Paper, Transforming Legal Aid: Delivering a more credible and efficient system, published on April 9th 2013, contains a rather complex mix of ideas that the Government is seeking to pursue. Removing criminal legal aid in prison law cases that do not justify the use of public money – such as complaints about the category of prison or correspondence a prisoner is allowed. The Government argues that many such cases can be addressed by the prisoner complaint system. Introducing a threshold on Crown Court legal aid to stop wealthy defendants with an annual household disposable income of £37,500 or more being automatically granted legal aid, which would avoid having to fight to get the money back after their trial. Introducing a residency test so that only those with a strong connection to the UK are able to receive civil legal aid. Discouraging so-called ‘weak’ judicial review cases by tightening up the payment mechanism, only paying providers for work done on bringing a claim once a judge has agreed the case is strong enough to proceed. Introducing competition for legally-aided advice and representation (not including Crown Court advocacy). Restructuring the Crown Court advocacy fee scheme by paying the same rates to advocates irrespective of whether there is an early or a late guilty plea or a short trial. This proposal provides more incentive to complete cases as early as possible. These new proposals will be hard fought by the legal professions, in particular the proposal to introduce competitive tendering for the supply of criminal defence services – an issue that has been around a long time but which successive Lord Chancellors have – until now – fought shy of pursuing. In this podcast I talk to Lizzie Nelson, who is Director of the Restorative Justice Council. The Council is a small charitable organisation that exists to promote the use of restorative justice, not just in the court (criminal justice) context, but in other situations of conflict as well (e.g. schools). There is evidence that restorative justice can help the victims of crime to come to terms with what has happened to them and can also help the perpetrators of crime to realise the consequences of what they have done. There is good evidence that, used well, restorative justice can reduce reoffending. In this podcast Lizzie Nelson explains both the concept of RJ and talks about the work of the council. So the Legal Services Commission has finally closed to be replaced by the Legal Aid Agency. At present, little information about the new agency is available. Its website currently sets out its priorities and its senior management team. Readers will be kept in touch with developments as they arise. The Ministry of Justice has announced that it is reviewing the use of simple cautions, in the light of evidence suggesting that some serious and serial offenders are being cautioned when they should be brought before the courts.